Special thanks to Alma Boone for bringing Laurelwood Plantation to our attention. Origin of name  The Campbells named the plantation after the wild mountain laurel that grows on the property (2).
?  Seay donated a piece of the plantation's property along Highway 378 to the Good Hope Baptist Church which built a building there about 1857 (3, p. 20).
?  Upon Seay's death, the plantation passed to his daughter Celia who was married to Rev. Charles Augustus Stiles (3, p. 20). 1908  Rev. Stiles died and Jasper Hampton Campbell purchased the plantation. Campbell moved his family there after his plantation, Leesburg Plantation, was destroyed by fire. It is believe the Campbell family renamed the plantation Laurelwood (1, 2). Three of Campbell's daughters would live their lives out at Laurelwood with the plantation remaining in the Campbell family for nearly 90 years (3, p. 20). 1994  Laurelwood was sold with renters taking up residence for the next five years (New Life for Laurelwood, p. 20). 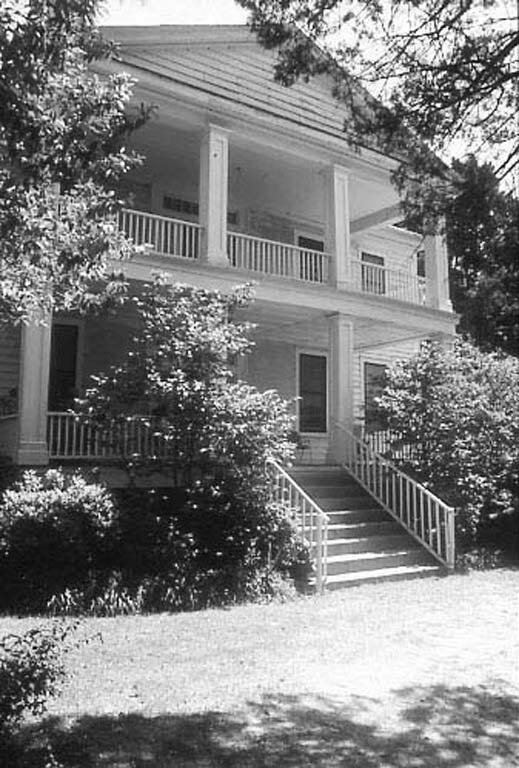 1999  The house has stood empty since the renters moved out (3, p. 20). 2011  The Palmetto Trust for Historic Preservation had acquired the property by this time and had placed an easement on it. The organization was actively seeking a buyer that would restore Laurelwood Plantation (4). 2011  On April 15, Jeremy and Jackie Thomas became owners of Laurelwood and began a restoration project of the house and slave cabin (4). Two-story Greek Revival house, a smokehouse, slave cabin, and barn are on the property. (1, 4). Extensive restoration of the house began in 2011 and on the slave cabin in 2012 (4). The Legacy of Laurelwood - Myra Campbell Phillips remembers family stories of life at Laurelwood - includes great pictures! Information contributed by owner Jeremy Thomas.